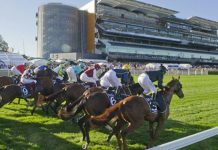 Belmont is one of two major racing venues in WA, with the other being Ascot. The venue is home to Winter racing in Perth and has a track that is set up to deal with the wetter conditions. The course has seen racing since 1910 when it first hosted a harness meeting. Interestingly, in 1911, it also acted as the sight of the first aeroplane flight in WA. It’s capability to be a specialist wet weather venue has really been tested in 2018, on the back of record rainfalls in the Perth metropolitan area. Similarly to Ascot, the jockeys that dominate at Belmont are clearly William Pike and Tayla Stone. Pike is winning at 27% over the last 12 months while Tayla Stone is currently at 17% over the same period. From the trainers, it’s Grant & Alana Williams who are leading the pack. 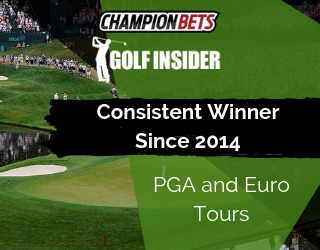 They are winning at 28.5% from 98 starts, which puts them well clear of their competition. Champion Bets analyst Mark Van Triet has been betting into WA racing for many years. 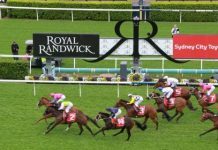 Belmont has been a very tricky place to be betting this year, given the wild and woolly weather conditions, which has made it more important than ever to know when to bet and when to sit on the sidelines. We asked Mark for a few insights into the best way punters can approach betting at Belmont. Are there any nuances to Belmont that you notice in your analysis? This season the track has been plagued by severe wet weather which has resulted in big rail movements on the Wednesday’s. Not only has this caused confusion for the punters but also the jockeys which has resulted in some inconsistent form. It is suggested that Belmont is one of the top wet weather tracks in the country. 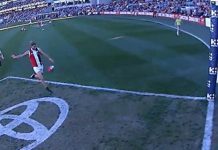 Is there any edge to be had under heavier conditions from a punting perspective? As mentioned above the track has been hit with extreme wet weather which has no doubt put the track staff under enormous pressure to produce a safe racing surface. I am certain given the same conditions in the east they would have lost a lot more meetings than Perth. 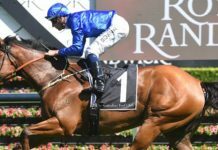 There isn’t a great edge to be had under heavier conditions at Belmont and that’s due to the big rail movements. In some cases, the rail would be placed at 3m then moved to 19m on the Wednesday, hence the confusion with bias. The straight is slightly longer at Belmont 333m as opposed to Ascot 294m which obviously does give more horses a chance back in the field but as I said previously with the wet weather and rail movements in some instances this created an on-pace rail bias. On most Saturday’s with rail in the track played fair but it’s a different scenario during the week. Are there any jockeys or trainers that you really like at Belmont and why? Pike is clearly the best jockey in WA but outside of him Tayla Stone (especially when there is an on-pace bias). Next best would be Jason Whiting and Glen Smith – both good horsemen who get their mounts to travel kindly through wet conditions. 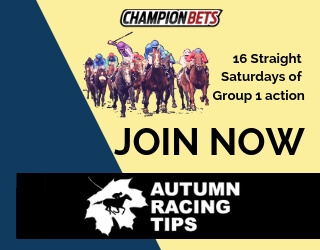 From the trainer ranks Adam Durrant, Grant and Alana Williams and Lindsey Smith mainly due to the fact that they have large teams and can target specific horses through the winter. Belmont is mainly a winter track but are there any races/events that are best for betting? This year’s G3 Belmont Sprint was a great race with the Perth Cup winner Material Man and runner-up Pounamu resuming along with last year’s Railway Stakes winner Great Shot. Their WFA sprint races are great events during the winter. What tips would you give for your average punter betting at Belmont? Be very careful during the week especially with a big rail movement otherwise as mentioned previously generally on the Saturdays the track plays fair. Mark’s WA Winners is the only way to punt in the West. 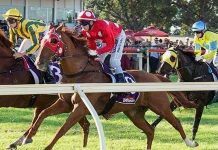 With a wet winter behind us, the dry tracks and familiar race horses will provide some consistency through Spring and heading towards the Perth Carnival later in the year.